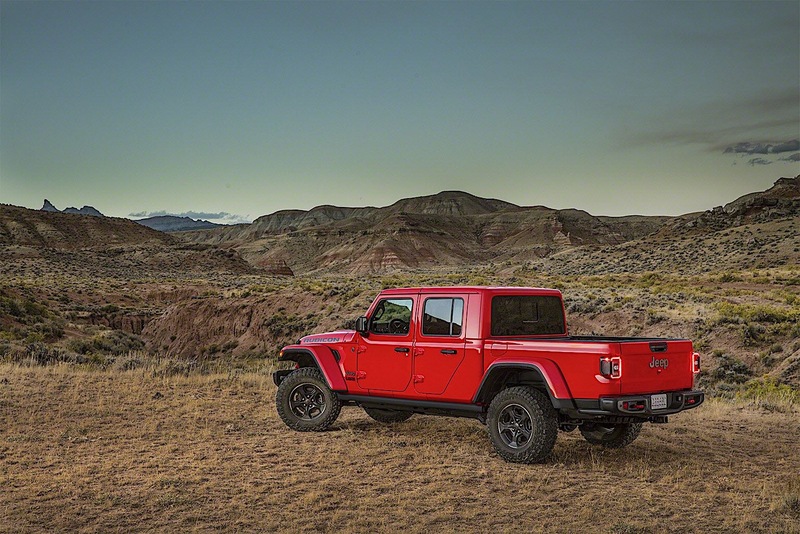 One of the worst-kept secrets in the entire automotive industry has finally made its official debut—the 2020 Jeep Gladiator just showed its face at the 2018 Los Angeles Auto Show. This Jeep pickup is the first mid-size truck offering from FCA since Ram killed the Dakota in 2011. 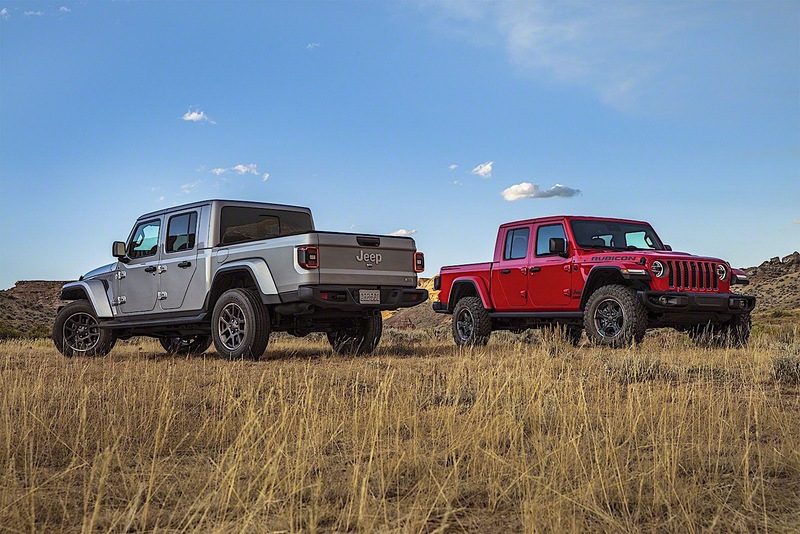 It's also the first Jeep pickup since the MJ Comanche ended production in 1992. 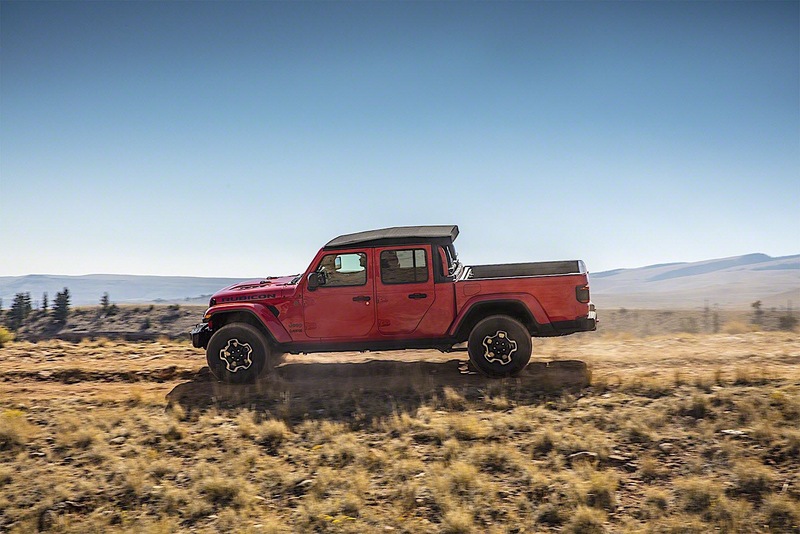 The new Gladiator is a serious performer and a suitable successor in the lineup. 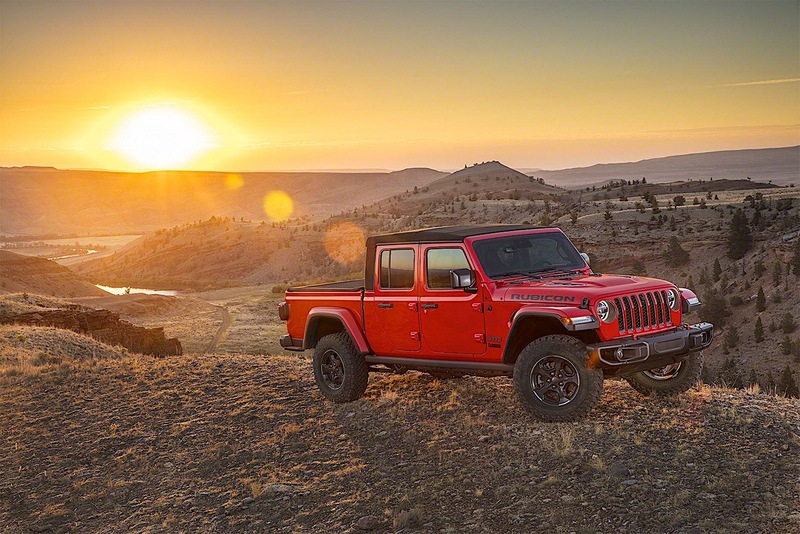 The "Wrangler with a pickup bed" is powered by the 3.6-liter Pentastar V-6 that produces 285 horsepower, and coming in the 2020 calendar year will be FCA's 3.0-liter EcoDiesel motor. While the eight-speed automatic will be the most-popular transmission, buyers can opt for a six-speed manual on the Pentastar-equipped models. That's right; if you're missing being able to get a manual transmission in a small pickup truck, Jeep's Gladiator with satiate your need. 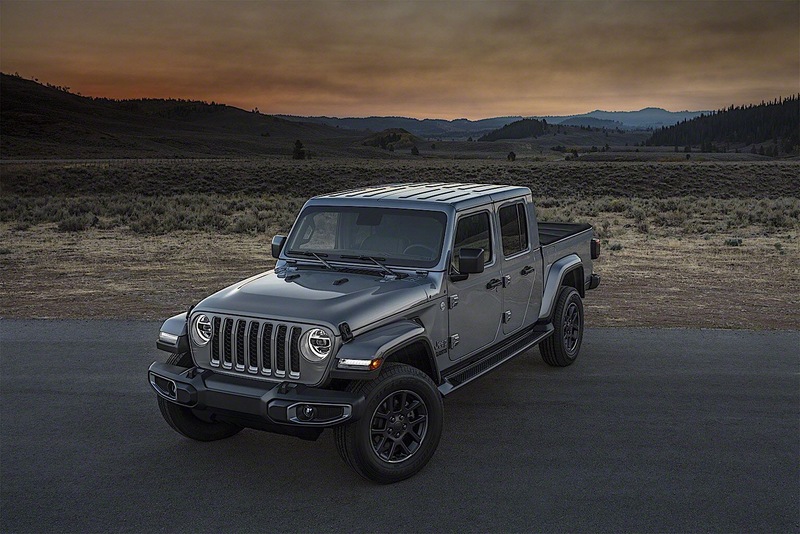 To make a Gladiator a Gladiator, 31 inches are added to the all-new JL Wrangler Unlimited in overall length and 19.4 inches were also added to the wheelbase. That made enough space for the 5-foot steel bed to be attached to the back—and it helped payload and towing. Before the new Jeep's debut, a four-wheel drive Chevrolet Colorado diesel was the best-in-class towing king at 7,600 pounds. 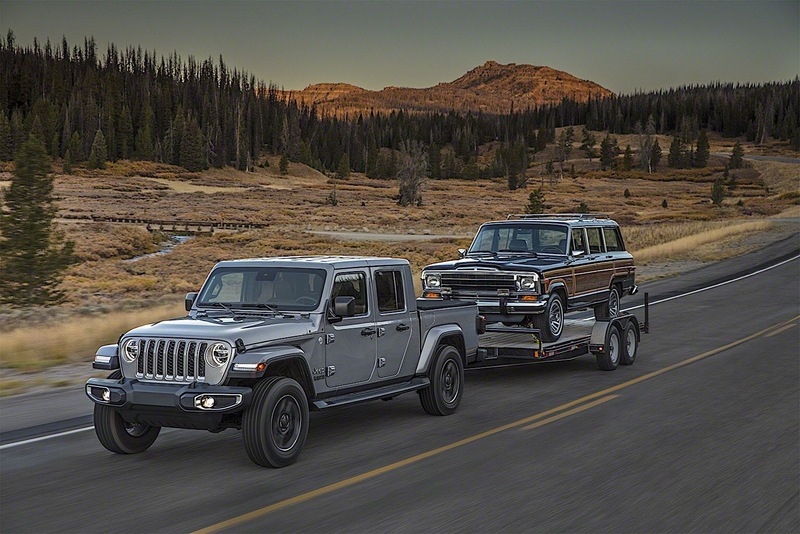 The new Gladiator—only available in four-wheel-drive—comes in at 7,650 pounds when equipped with the Max Tow Package on Gladiator Sport. How's that for one-upmanship? 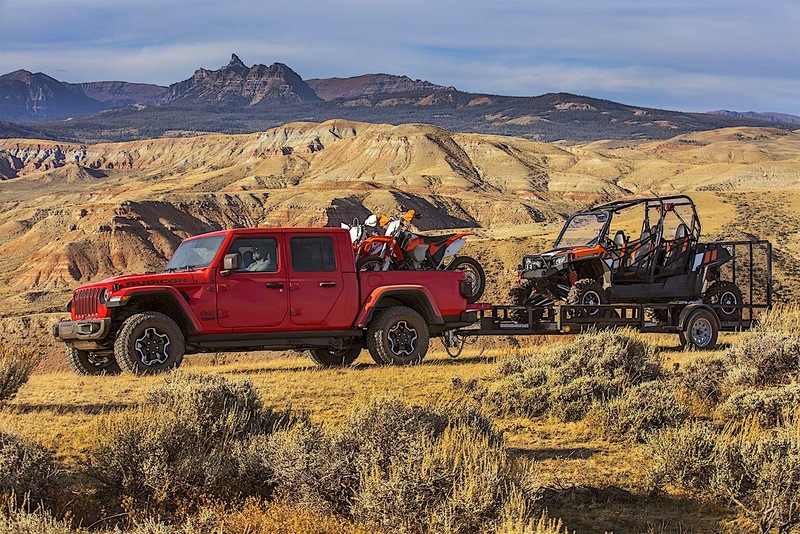 Not much is sacrificed when you move to the off-road-focused Rubicon, either, as the towing package can still haul 7,000 pounds. The Chevrolet Colorado ZR2, the only midsized truck with this capability, only tows 5,000 pounds. Fuel economy and pricing information are currently unknown as that information will be released closer to the on-sale date. Payload capacity maxes out at 1,600 pounds, depending on which version of the truck you get. Ride quality should be assisted by Jeep's five-link coil suspension front and rear, something other midsize truck makers don't currently offer. Leaf springs are the suspension du-jour on competitors like the ZR2. The engineering brief here was clearly to make the Gladiator as capable as a Wrangler, just with the added utility that a pickup truck configuration brings to the table—that being said, they also couldn't sacrifice that truck utility for the sake of off-road capability. 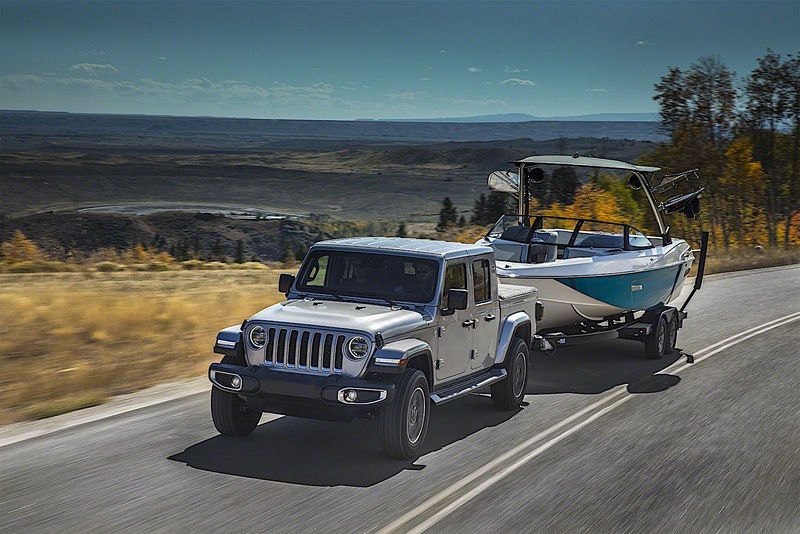 “Unquestionably a truck and instantly recognizable as a Jeep, the all-new 2020 Gladiator is the ultimate vehicle for any outdoor adventure,” said Tim Kuniskis, head of the Jeep brand. It's hard to disagree with the specs, but if you did want to off-road with your Gladiator, it'll do it. Again—because Jeep. The Gladiator has an approach angle of 46.3 degrees, a breakover angle of 20.38 degrees, and a departure angle of 26 degrees. 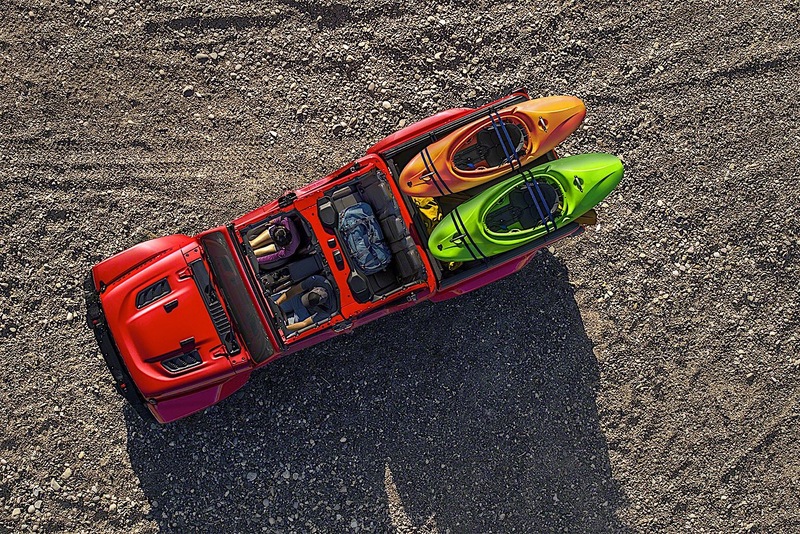 It touts 11.1-inches of ground clearance and can ford 30-inches of water. Dana 44 axles are used front and rear on the new Gladiator with Sport and Overland models receiving Command-Trac four-wheel drive. That includes a 2.72:1 low range ratio. 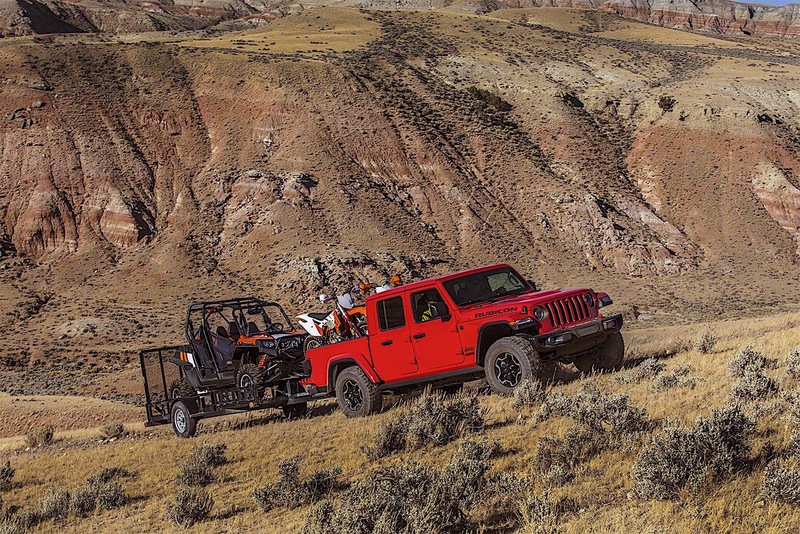 Rubicon models receive the brand's Rock-Trac four-wheel drive system with a 4:1 low range. It also has electronic disconnecting sway bars as well as front and rear lockers. A crawl ratio of 77.2:1 is available with the automatic and 84.2:1 on the manual. 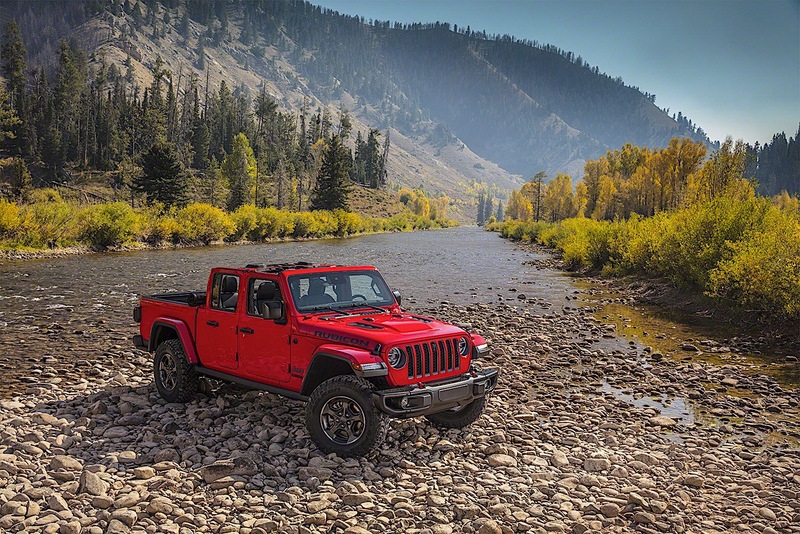 Rubicon models also benefit from standard 33-inch tires, rock rails that protect the cab and the corners of the truck bed, and a steel rear bumper. Optional is a steel front bumper that's winch ready and has removable end caps. There's a ton of new technology in the cabin, too. The highlight here is the front camera that can be accessed through the off-road menu via touchscreen so you can keep an eye on the trail ahead of you. 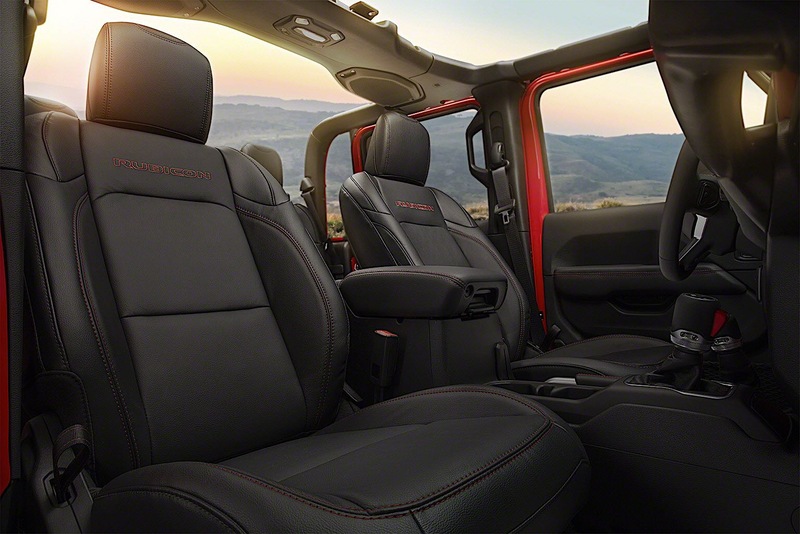 Like the Wrangler, Gladiator has an available suite of safety tech including blind spot monitoring, lane keep assist, and adaptive cruise control. 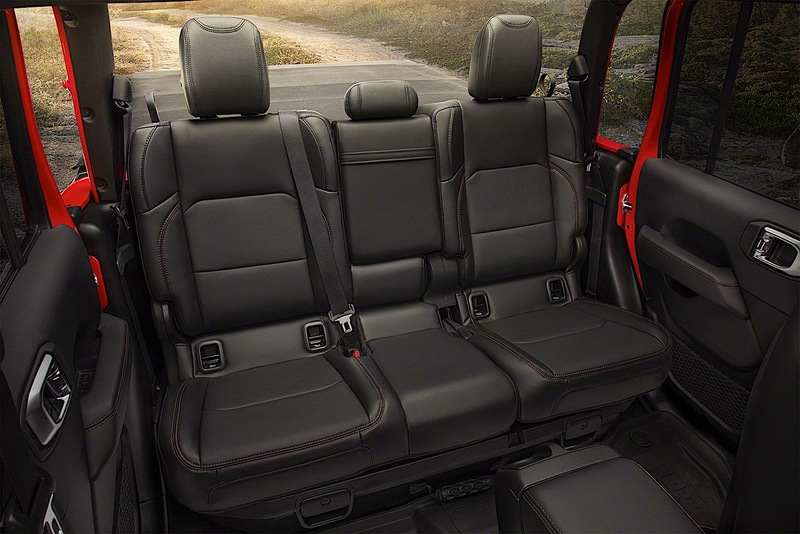 While the Gladiator doesn't get the Ram Rebel's optional 12-inch touch screen, the 8.4-inch uConnect system is on board with support for both Google's Android Auto interface and Apple's CarPlay. You can't talk about a Jeep without mentioning a removable roof, and the Gladiator delivers with a soft top and two available hardtops. For those who don't want to run the roof at all, it should be as easy to remove as the Wrangler's. 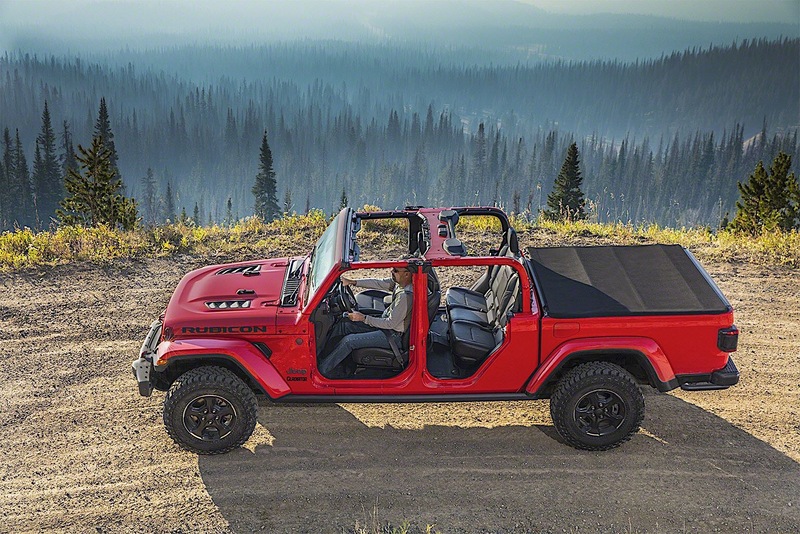 Additionally, the doors will pop off and the windshield can be lowered with just four bolts—just like the Wrangler. Jeep also promises a set of Mopar accessories to be available to further customize the Gladiator to each owner's liking, if they want to. 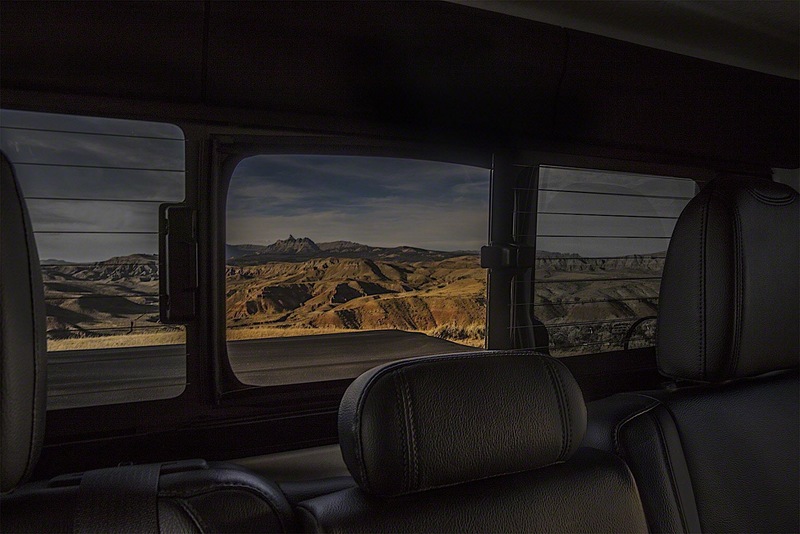 The Gladiator is built in Toledo, Ohio and will be available in four trims: Sport, Sport S, Overland, and Rubicon. It'll be available in the second quarter of 2019, with diesel availability slated for 2020. What we do know is that from the looks of it, there's a new midsize truck king in town, and it goes by the name Gladiator.